LEES CREEK – Victories on the football field for the McClain High School Tigers have been scarce in recent years, as evidenced by last years’ 0-10 campaign. 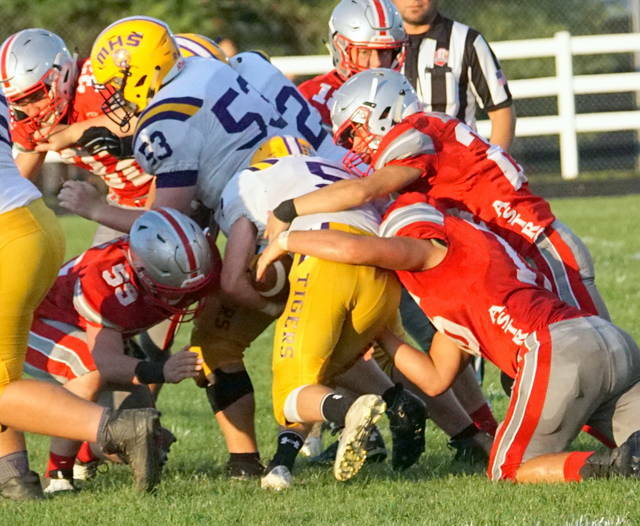 Going into Friday’s contest with East Clinton, the Tigers were 0-3 for 2018, but they can now put a victory in the left column. McClain rolled up more than 400 yards in total offense en route to a 28-3 victory over the Astros. 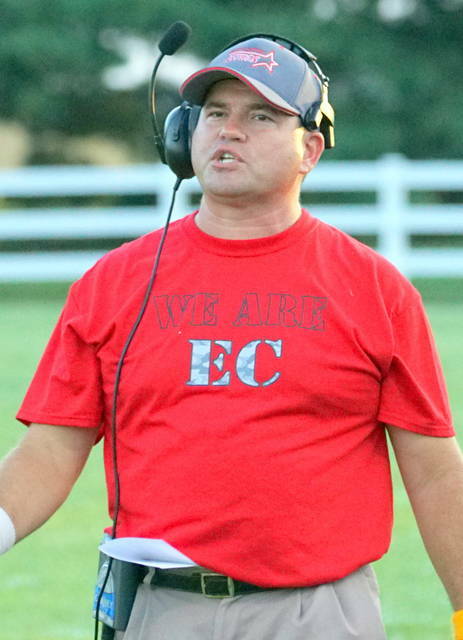 East Clinton drops to 0-4 on the season. 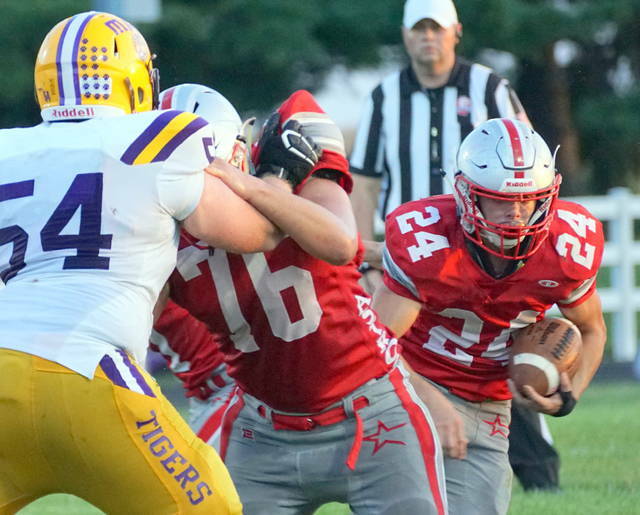 For first-year Tigers’ head coach Jake Orr-Zody, the win is certainly a milestone, but he was quick to credit the players for their efforts on the gridiron. “It’s really special, but it means more to the kids … the ones who have been there and stuck it out during the losing seasons before,” the McClain coach said. 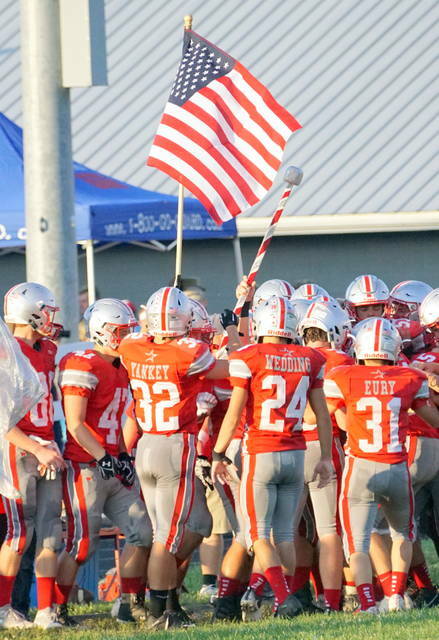 “It’s really about believing that we can win. Tonight, we overcame a lot of obstacles and the hot weather was certainly hard to play in. 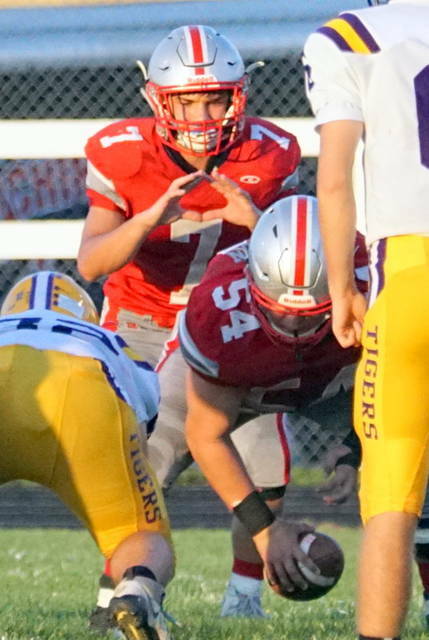 After a scoreless first quarter, the Tigers got on the scoreboard with a quarterback keeper by David Jett, and Braedon Bergstrom’s PAT kick gave the Tigers a 7-0 lead. East Clinton came back with a field goal by Austin Arellano from 23 yards out to make it a 7-3 contest with 9:41 to go in the first half. Unfortunately for Astro fans, that would be the extent of their scoring the rest of the night. 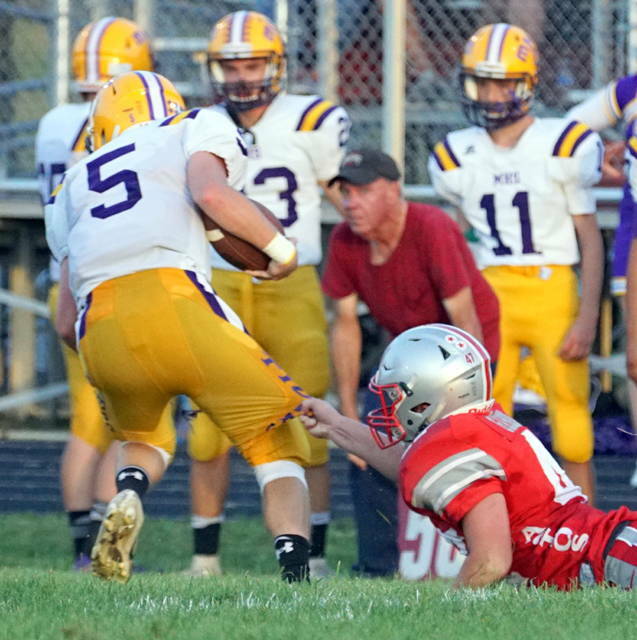 McClain’s Dalton Mischal came back with an 11-yard rushing touchdown with just under four minutes to go, and Bergstrom’S PAT kick gave the Tigers a 14-3 lead. They would extend the halftime lead to 21-3 on a last-minute scoring drive, culminating with a three-yard run by Kyler Trefz. Bergstrom tacked on the PAT kick to close out the first half scoring. McClain sealed the victory with a time-consuming third quarter drive, finished off by a 26-yard run from Pat Fout with 1:41 to play in the quarter. Bergstrom made it a 28-3 advantage for the victorious Tigers. 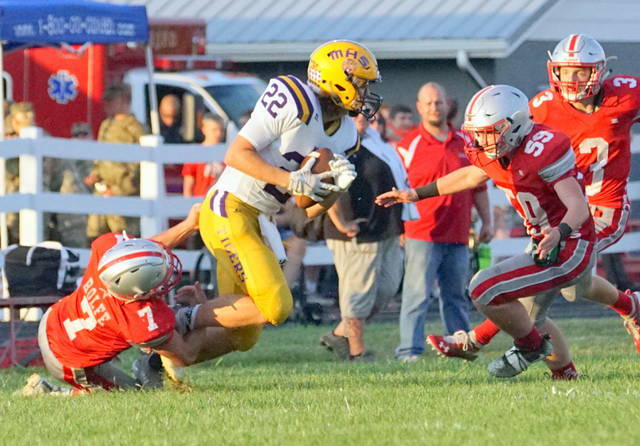 For East Clinton, it was a night of struggles on offense and numerous times they hurt themselves with costly penalties and turnovers, which the Tigers were able to capitalize upon. “We just made too many mistakes and shot ourselves in the foot with penalties,” lamented Astros’ head coach Jeremy Yankey. The Astros operated with a new quarterback, former wide receiver Austin Rolfe. Gunner Neanover had started the first three games but is no longer on the team. “When you go with a different starting quarterback, and you fall behind early like we did, it’s not a good thing and I’m sure Austin put some pressure on himself,” Yankey said. 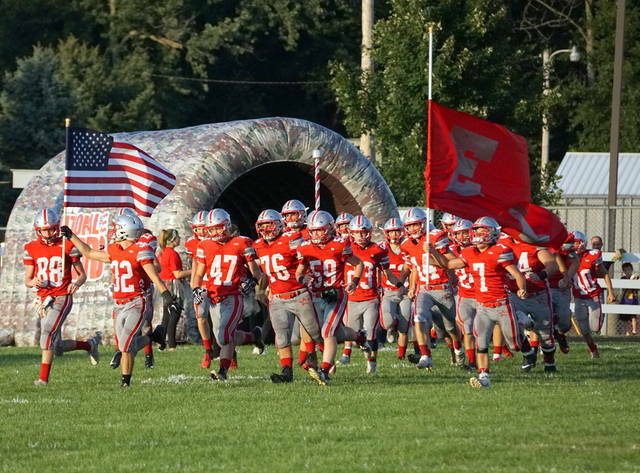 East Clinton plays at Wilmington next week. MHS-Miscal-11 yard run. Bergstrom PAT kick good at 3:58. MHS-Trefz-3-yard run. Bergstrom PAT kick good at 0:19. 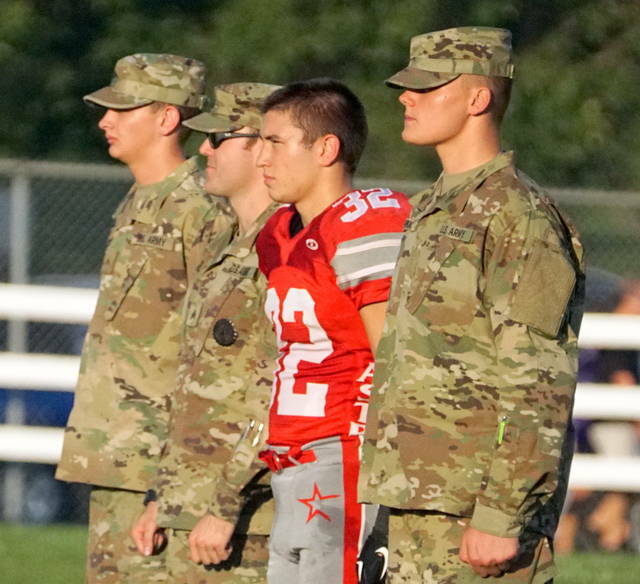 MHS-Fout, 26 yard run. Bergstrom PAT kick good at 1:41.